Review by Gordon Lu on 1/3/2015. Review by Brotherdan on 11/9/2016. I like small maps. This is VERY small, but good for a fast 2P FFA. Technically it could get better: I don't like the looks of borders: the neighbouring territories' borders aren't parallel, giving to the whole map an ackward look. Moreover, it's by now a de facto established standard that bonus borders are double, but territories borders within a bonus are single. 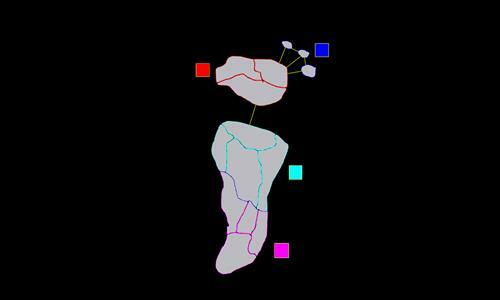 As for the gameplay: the map is utterly unbalanced for all distribution modes, favoring southern island in the 1vs1 and whoever holds the ports in the other two. This can be amended by connecting discus islands to Boomarie, though mapwise it would not make much sense. Very unbalanced, not a lot of fun to play.